With many scary, thrill-seeking type games being so prominent in the lives of children and teenagers growing up, it’s not hard to imagine why so many of us share a certain nostalgia for them. In a way, they’ve almost become a rite of passage, or at the least, a staple for a seriously spooky sleepover. Let’s see which of these games you remember playing at a slumber party or two! 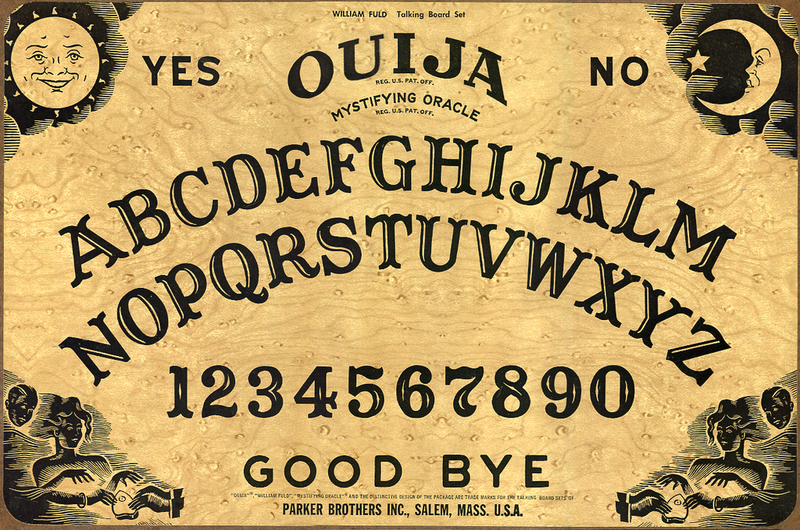 Certainly the most recognizable scary game that involves a board, the Ouija, sometimes referred to as a spirit board or a talking board, can be traced all the way back to 1100 AD China where it was used as a means for contacting the dead. Nowadays it is stilled used for that reason, or simply as a way to scare friends into thinking they are communicating with the spirit world. If mirrors freaked you out before, then after playing this game we bet mirrors never looked the same again! To play Bloody Mary, begin by lighting a candle and turning off all of the lights in the bathroom. Turn around three times, chant, “Bloody Mary” three times, and look in the mirror – someone else may be staring back at you! Light as a Feather, Stiff as a Board, often considered a levitation trick, is a super popular slumber party game. To play, one participant must lay flat on the floor. Then everyone else spaces out around that person placing two fingers underneath their body. Once everyone is in position, let the repetitive chanting of begin, “Light as a Feather, Stiff as a Board” and lift! Photo by Dave Winer via Flickr.